Adam Curtis‘ acclaimed series examines the rise of the all-consuming self against the backdrop of the Freud dynasty. “The Century of the Self”, reveals the intricacies of psycho-manipulative social engineering through propaganda. 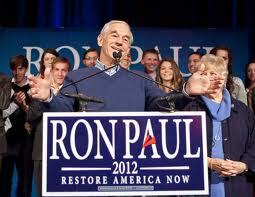 Propaganda is a type of communication which is aimed at influencing a community toward a cause. Media utilizes propaganda by constantly dispersing certain information over a wide spectrum of mainstream media outlets (e.g. :ABC, CBS, NBC, CNN and Fox News) or more recently internet social networks (e.g:Facebook and Twitter) to sequester the desired attitudes from it. “It”, or the emotional cue contemporarily may be like the succinctly charged statement ” War on Terror” which evokes conditioned visions of 9/11. Or more recently the foiled underwear bomber. These reminders consistently played over time through all strata of media fearfully allow us to give away our 4th and 5th Amendment liberties away for invasive T.S.A. (Transportation Safety Administration) naked body scanners and pat downs at airports. The Century of the Self tells the untold and sometimes controversial story of the growth of the mass-consumer society in Britain and the United States. How was the all-consuming self created, by whom, and in whose interests? The Freud dynasty is at the heart of this compelling social history. Sigmund Freud, founder of psychoanalysis; Edward Bernays, who invented public relations; Anna Freud, Sigmund‘s devoted daughter; and present-day PR guru and Sigmund’s great grandson, Matthew Freud. Sigmund Freud’s work into the bubbling and murky world of the subconscious changed the world. 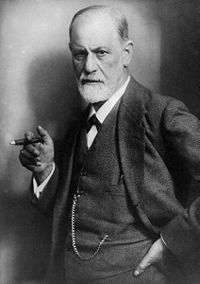 By introducing a technique to probe the unconscious mind, Freud provided useful tools for understanding the secret desires of the masses. Unwittingly, his work served as the precursor to a world full of political spin doctors, marketing moguls, and society’s belief that the pursuit of satisfaction and happiness is humanity’s ultimate goal. His most notorious coup was breaking the taboo on women smoking by persuading them that cigarettes were a symbol of independence and freedom. 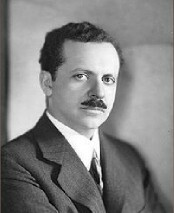 But Bernays was convinced that this was more than just a way of selling consumer goods. It was a new political idea of how to control the masses. By satisfying the inner irrational desires that his uncle Freud had identified, people could be made happy and thus docile. This is in response to the shooting and subsequent death of two year old baby girl Keira Holmes this Tuesday in New Orleans.